The night before you mix the dough, soak the rye chops by pouring over enough boiling water to cover. Mix until all the grains are hydrated and cover with a towel. Add the soaked chops in at the Mix and continue on through the Bake. The rye will have absorbed most of the water in the soaker, so use your intuition to feel out the dough when mixing. This is great bread for moppin’ up any kind of meat juice or gravy, but perfectly fine on its own. Spread some butter onto this humble loaf for a meltdown you’ll enjoy. The night before you mix the dough, soak the freekeh by pouring over enough boiling water to cover. Mix until all the grains are hydrated and cover with a towel. Add the soaked grains in at the Mix and continue on through the Bake. The grains will have absorbed most of the water in the soaker, so use your intuition to feel out the dough when mixing. 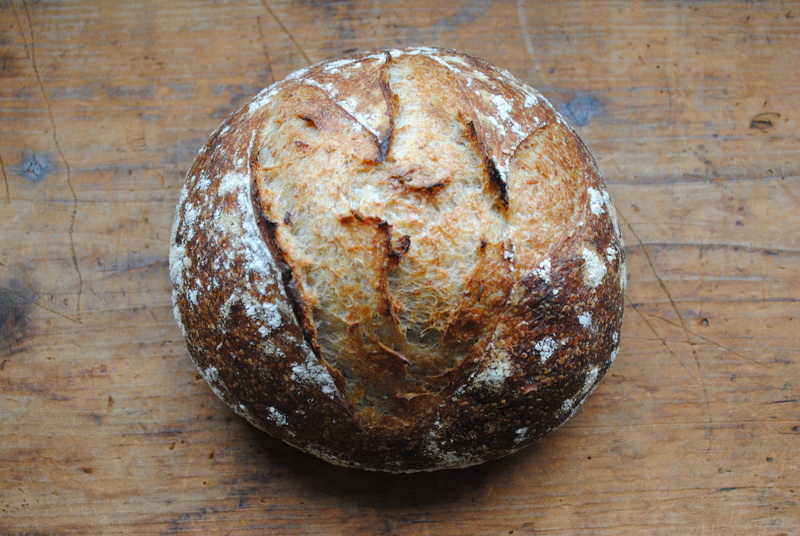 This turns out a hearty loaf but can be used for just about anything. If you have any that has gone a bit stale, it makes wonderful croutons. 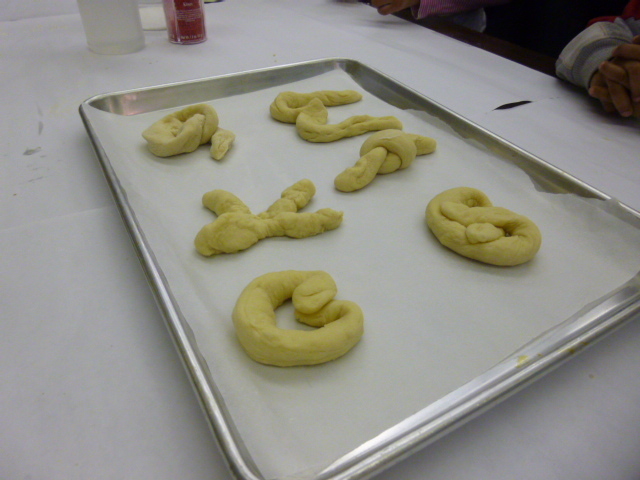 This afternoon I had the pleasure of teaching a pretzel and mustard making class at Carnegie Library of Pittsburgh West End’s branch. Thank you to everyone who came!! The recipe used for the occasion can be found under the post Roll Another One. Stay tuned for more Breaducation events at the library. 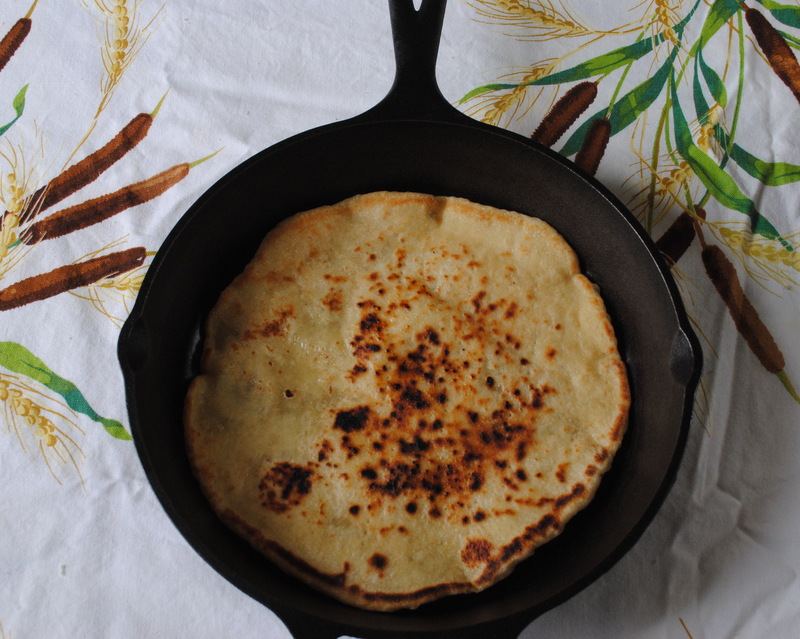 Naan is a wonderful, soft, chewy Indian flatbread. Traditionally it is baked against the superheated sides of a tandoor oven. To replicate the charred exterior and tender interior that distinguish this bread, a hot cast-iron skillet is the best way to go. 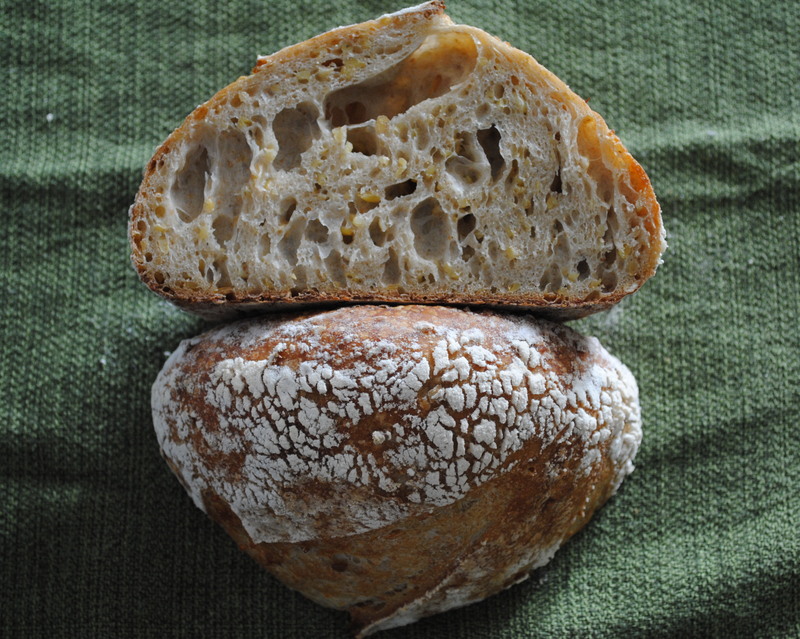 See what all the buzz is about and make this no-nonsense bread now!! In a small bowl, combine water, yogurt, oil, and egg yolk. In a medium mixing bowl, whisk together flour, sugar, and yeast. Add the liquid mixture to the dry ingredients and mix until the dough is just combined. Cover and let dough stand for 30 minutes. Add salt to the dough and knead until it is a satiny, sticky ball. Let rise in a warm place for 2 to 3 hours, turning every half hour. The dough won’t necessarily double, but will be slightly aerated and smooth. Transfer dough to a lightly floured surface and divide into four even pieces. Roll each piece into a smooth ball and let sit for 15 to 20 minutes, covered. On a floured surface, roll out one piece of the dough, with a rolling pin, into a 9-inch round of even thickness. Using a fork, poke entire surface of dough 20 to 25 times. Heat 1 tsp oil in a 12-inch cast iron skillet, over medium heat, until shimmering and wipe clean. Mist top of dough lightly with water. Place dough in pan, moistened side down; mist top surface of dough with water, and cover. Cook until bottom is browned in spots, 2 to 4 minutes. Flip naan, cover, and continue to cook on second side until lightly browned, 2 to 4 minutes. Transfer to a plate and brush with melted butter. Repeat rolling and cooking remaining 3 dough balls.